If you’re wondering which TV shows Netflix hopes to add to its catalog in the coming months, look no further than sites like the Pirate Bay. When the online streaming company wants to figure out what people are watching, Netflix looks at what does well on piracy sites, Netflix vice president of content acquisition Kelly Merryman reportedly told the Dutch-language site, Tweakers. Prison Break, for example, was “exceptionally popular on piracy sites,” Merryman said. All four seasons of Fox’s drama, which ran from 2005-2009, are currently available through the online streaming service. 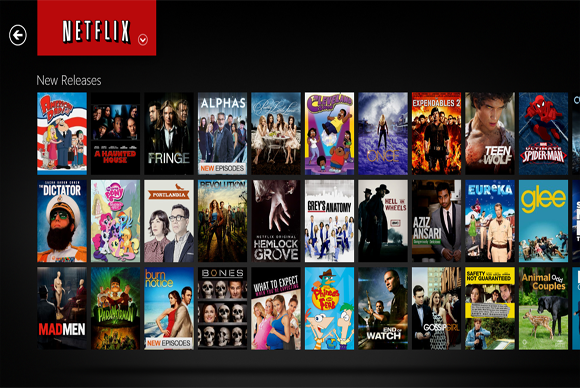 Netflix also looks at ratings and box office draws when it's deciding which movies to offer, Merryman told Tweakers. Merryman made her comments during Netflix’s recent debut in the Netherlands. We’ve dropped a line to Netflix to confirm Merryman’s comments and also to find out what other indicators the company uses before licensing content. The thought of Netflix monitoring pirate sites may sound odd, but it's actually a pretty good idea. Any TV show or movie that consistently appears in the top 100 torrents on The Pirate Bay, for example, indicates content that people are so desperate to see they’ll jump through hurdles to get it. To start pirating, first you have to find the right software, fiddle with the app’s settings to make sure you’re using the right ports on your PC, and you may even have to tweak some of the settings on your router. After all that, you have to proactively seek out the right torrent file to download every week (for TV). If you live in the U.S., you’ll also have to risk getting some nasty letters and phone calls via the Copyright Alert System. For an experienced downloader, grabbing torrents may not be a huge deal, but would anyone really bother with piracy if they didn’t care deeply about a particular title? Probably not. Piracy torrents are also a global phenomenon, so only the shows that have global appeal are likely to be popular on torrent sites. Monday morning’s top 100 TV shows on the Pirate Bay also don’t necessarily match up with traditional TV ratings, either. The top five original series titles—excluding duplicates and events—on The Pirate Bay Monday morning included the latest episodes of Breaking Bad (a show that credits Netflix for some of its success), Dexter, Boardwalk Empire, and The Newsroom. Other titles on TPB’s top list include Suits, Ray Donovan, Sons of Anarchy, and Under the Dome. Most of those titles have made The Pirate Bay’s top charts for weeks. Taking a look at Nielsen top ratings for cable and broadcast TV for the week of September 2-8, only Breaking Bad and Under the Dome made Nielsen’s top ten lists. Nielsen, of course, also counts live television events such as NFL Sunday Night Football and the U.S. Open, so the comparison isn’t perfect. Nevertheless, with Netflix looking for a mix of blockbuster shows and “long tail” series with passionate niche audiences, keeping an eye on piracy charts makes sense. While piracy is officially frowned on by the movie and television industry, leading to efforts such as attempts to restrict the ads on piracy sites, some content producers are coming to terms with piracy. In August, Time Warner CEO Jeff Bewkes said having Game of Thrones as the most pirated show in the world was better than an Emmy.